(CBS News) First there was Pisa, and now this. The ancient Colosseum of Rome, one of the most recognizable structures on the planet, is leaning. Italian authorities are investigating what steps to take in preserving the monument after it was discovered that the Roman structure is 40cm (15.7 inches) lower on its north side. The slant was first noticed last year. 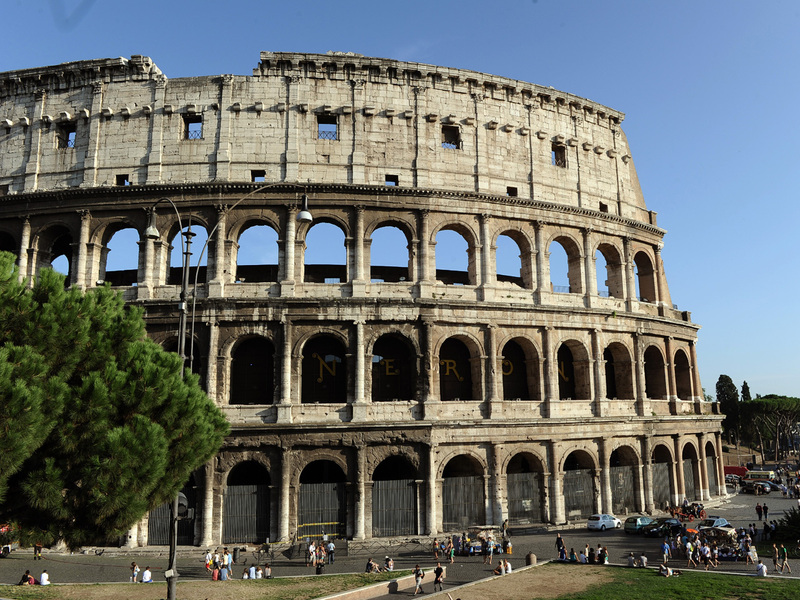 La Sapienza University and the environmental geology institute IGAG have been asked by the Colosseum's preservation society to investigate the problem, according to Reuters. Dr. Giorgio Monti, from La Sapienza's construction technology department, believes the problem may be a crack in the base of the structure. "The slab of concrete on which the Colosseum rests, which is like a 13-meter-thick oval doughnut, may have a fracture inside it," he told Italian newspaper Corrier della Sera. It is possible that the ancient amphitheater will have to undergo serious renovation. The situation may be similar to the most notable slanted structure in Italy, the leaning tower of Pisa. The tower was closed for more than a decade in the 1990s while engineers worked to prevent it from falling over. The tower has been open to visitors since 2001.